That 36% is plug load. 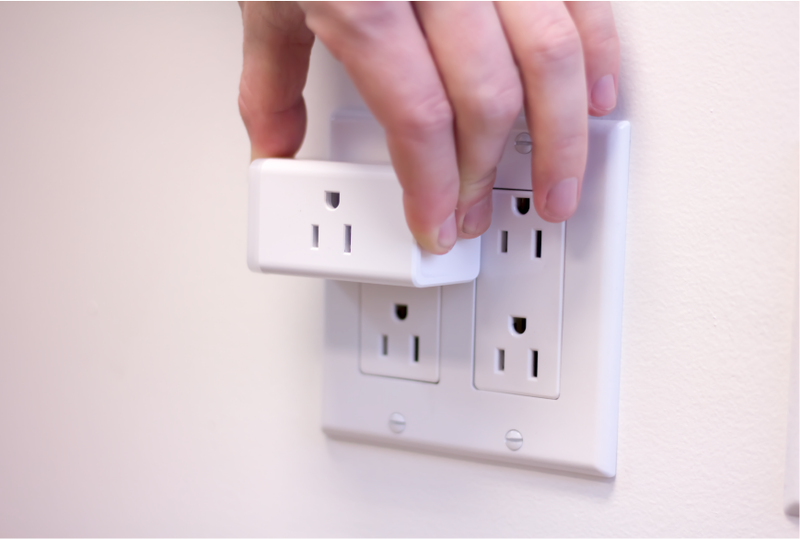 Plug load is the energy consumed at each of the electrical outlets in a building. Miscellaneous devices are not managed or metered in any way but are responsible for 82% of plug load in commercial buildings. Over the next ten years, plug load is predicted to reach nearly 45% of total building energy draw and surpass HVAC and lighting to make up the single largest portion of a building’s total energy consumption. Until now, it has been impossible for businesses to audit, understand, and optimize the energy that is being delivered to all of the electrical sockets in their buildings. The result of that has been billions of dollars in waste, potential safety hazards, mounting environmental impacts, and a fundamental lack of understanding of the way that buildings consume a significant portion of their total energy. HVAC and lighting have been the poster children for building optimization and commercial IoT because they have historically been the largest combined portion of waste. But the largest efficiency gains will come from the optimization and automation of power delivery to the individual sockets that power all of the thousands of devices in our buildings, from monitors to laptops, lamps, vending machines, and countless other mission-critical devices. Plug load is now the greatest single source of waste in commercial buildings, and Sapient is the only solution addressing that problem. Are there appliances in a building that cost thousands of dollars to run every year but that could be optimized to reduce costs? Should the leases on all of the printers, vending machines, and appliances be renewed each year, or only for those devices and appliances that are actually being used and are needed by the occupants of the building? How much is the business spending to power all of the laptops, space heaters, and monitors on a particular floor, region, or the building as a whole? 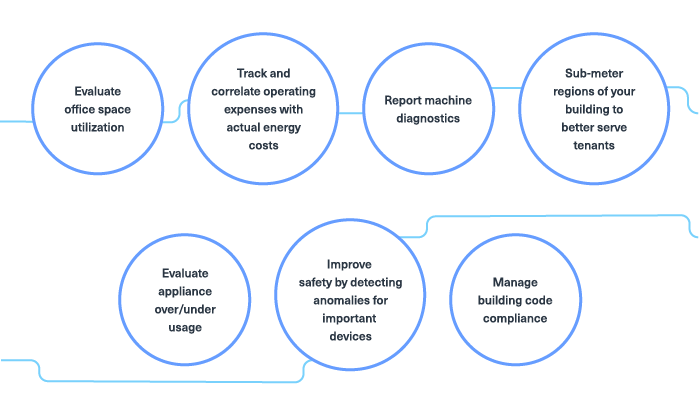 By metering at every socket Sapient provides insights that allow companies answer all of these questions and many more in real-time. Sapient helps commercial buildings understand, forecast, control, and automate the energy consumed at the plug. It allows you to filter by individual device types, rooms, floors, regions of a building, departments, or any combination of those parameters, in order to drive better decision-making and reduce waste, improving businesses’ bottom lines, preventing the disruption of mission-critical devices, identifying underutilized space, and improving safety. 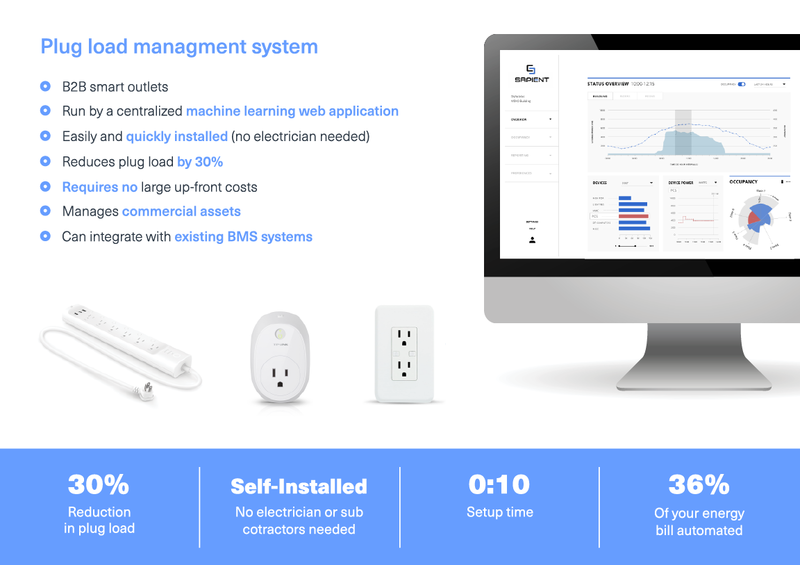 The Sapient plug load management system is sold B2B and consists of smart sockets run by a centralized, enterprise-level machine learning web application. The installation process is quick and easy, with no electrician or rewiring necessary. Sapient enables you to select custom time intervals to analyze power draw by device type. 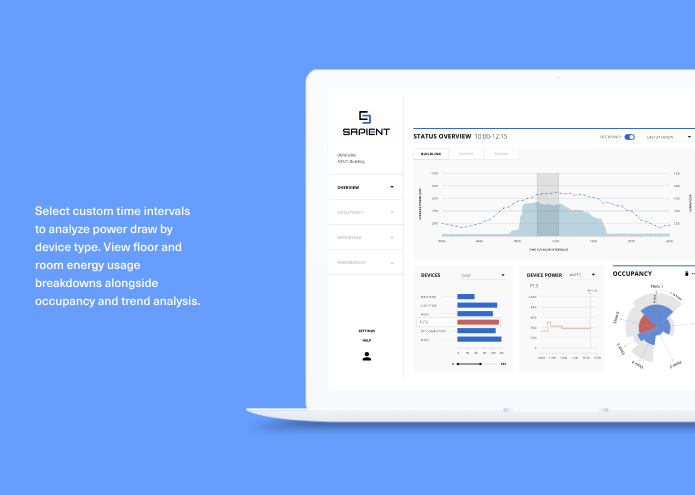 Sapient allows you to view floor- and room-level energy usage breakdowns alongside costed occupancy metrics and trend analytics. 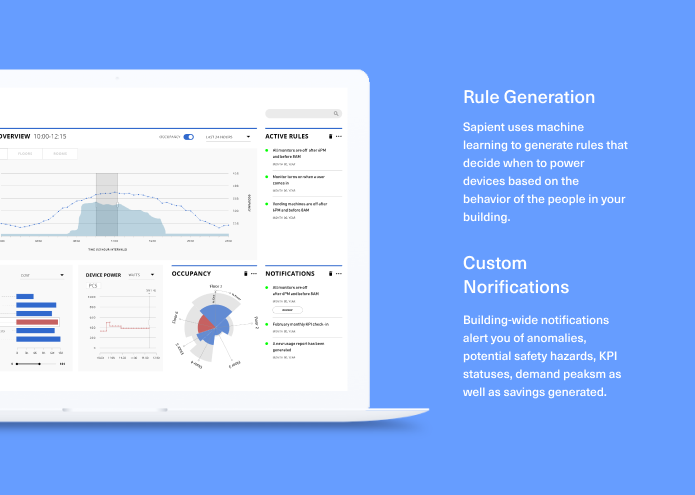 Sapient uses machine learning to generate rules that optimize power delivery to devices based on thebehavior of the people in the building. In less than a few seconds after a device is plugged in, Sapient detects the type of device it is. Our algorithms then work to understand the behavioral patterns of the building’s occupants and generate rules that control power delivery and reduce waste. Sapient provides custom notification alerts for usage anomalies, potential safety hazards, KPI statuses, demand peaks, and savings generated. 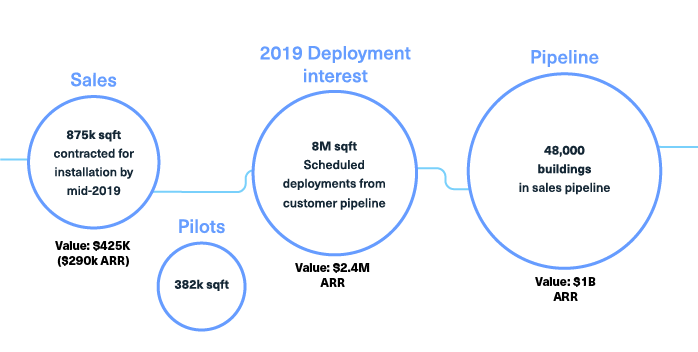 Sapient launched the first iteration of the plug load management system in late September and attracted nearly eight million square feet in deployments within a few short weeks, booking nearly half a million dollars in revenue for 2019. We have expanded our building deployment pipeline from several dozen to over 48,000 buildings, representing a cumulative $1.2B annual recurring revenue opportunity from our current clients alone. Since our launch in September, we’ve increased our total contract value by over 1,800%, and our booked revenue by 21,150%. 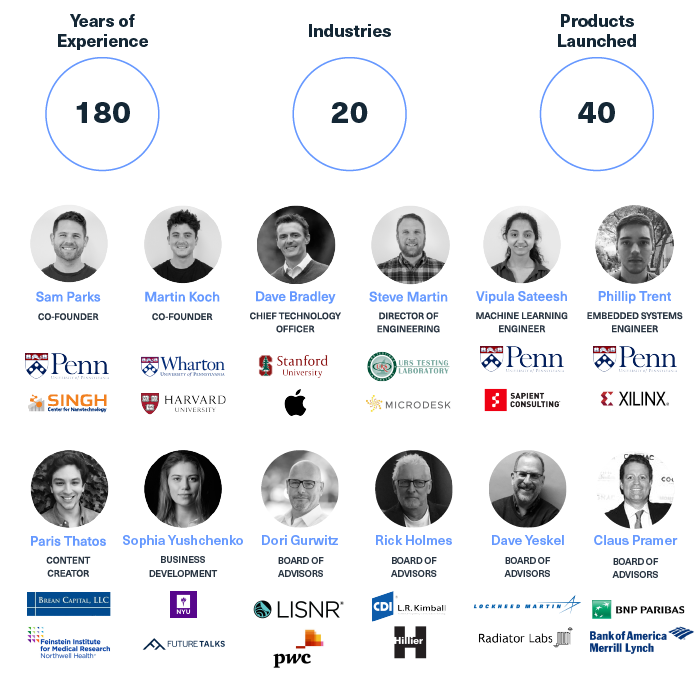 Sapient is venture-backed and has previously raised capital from strategic real estate angel investors, BMW-MINI's Urban-X, Urban Us Fund, and Engage Ventures. We employ a hardware-as-a-service model, charging customers a one-time set-up fee, followed by a recurring annual service fee. Our solution involves a very small upfront cost and simplifies the installation process. We have solved the challenges facing many companies in the building controls and automation space — long sales cycles and large upfront capital expenditures. Our model allows customers to roll the cost of our system in their operating expenses, bypassing lengthy approval processes and extended deployment timelines. We make it easy for customers to say ‘yes.’ We also offer them the option to capitalize the expense and pay for the system upfront. 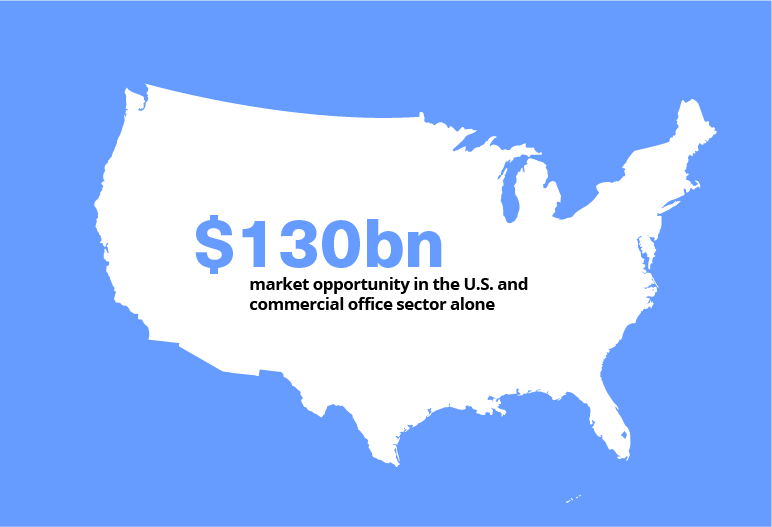 There are over 1 million commercial office buildings in the U.S., with a combined footprint of over 16 billion square feet. Sapient’s business model prices deployments on the basis of building square footage which can be used to calculate the total addressable market for commercial office space in the US. This equates to a $130bn market opportunity. In addition, commercial building floor space is expected to increase 39% over 2017 levels by 2050, indicating that the market opportunity will continue to grow. The market that Sapient operates within is saturated with companies that focus on building-wide power, HVAC, or lighting. Sapient enjoys a first-mover advantage in the industry, as it is currently the only established, dedicated plug load management system on the market. 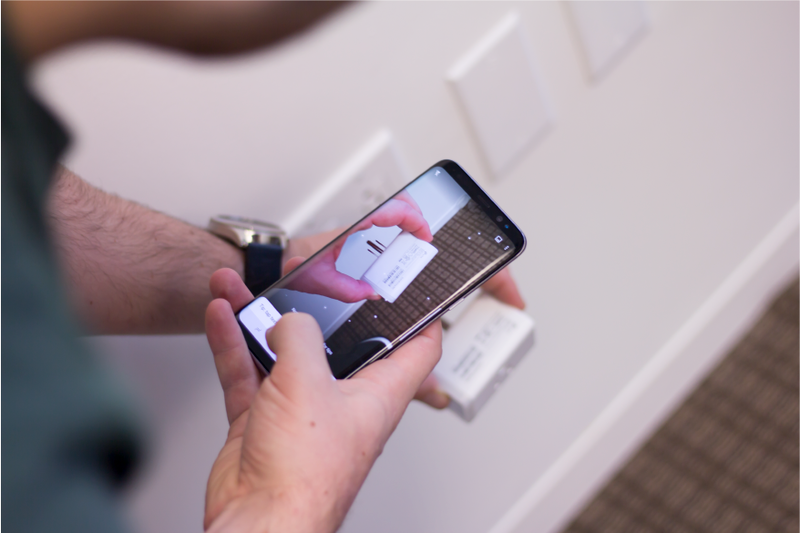 Several companies focus on selling smart outlets in the smart home IoT space, but these solutions are not designed for large-scale deployments, building-wide management and analytics, or enterprise-level software controls. There are no other companies that address the problem of plug load for businesses. We consider B2C smart outlet and smart home companies to be potential partners for future integration into the Sapient product suite in order to supplement our options for commercial real estate. Our plans for the coming year. Sam is a graduate of the University of Pennsylvania in applied physics with research interests in quantum computation and quantum information technology. His experience began in the field of nanotechnology and nanofabrication as a scientist at the Singh Center for Nanotechnology and extends to the field of quantum engineering and computation at the University of Pennsylvania's Quantum Engineering Laboratory as a former applied physics PhD student. While his education includes extensive work in mathematics and computer science, he now develops the core of Sapient's technology suite. 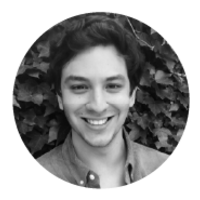 Sam is a Sophia International Scholar, Reagan Fellow, and a recipient of the UPenn Scholar grant. Recently, Sam has spoken at regional eco-engineering and sustainability initiative conferences to inspire his generation of engineers and innovators to collaborate in a unified effort to integrate previously disconnected fields of science into sustainable technology. Martin attended The Wharton School of Business, having studied real estate and law. Prior to co-founding Sapient, Martin explored asset management, as well as real estate and criminal law. Early in his career, he rose to the position of General Manager at a financial institution, managing day-to-day operations, while also serving on the Board of Directors. During this time, he developed a passion for solving big problems in sustainability which eventually lead to his decision to focus exclusively on building Sapient. 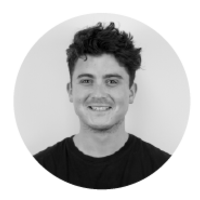 Martin is an avid language learner with a lifelong passion for mountain climbing, having spent nearly a year at high-altitude in the Himalayas including on Mount Everest, Chhukung Ri, and Island Peak. Over Dave’s 20-year career in hardware product development he has launched over 30 innovative and award-winning products into medical, computing, and consumer device global markets for start-ups and Fortune 500 companies. He has managed internal and external engineering teams in the US, India, Korea, Europe, and China in the development of world-class products from concept through stable high-volume production. Previously, Dave managed iPad development programs at Apple. 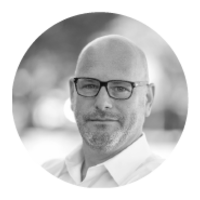 Today, Dave is Sapient’s Chief Technology Officer– responsible for bringing Sapient AEMS to market. He oversees the selection of manufacturers, designers, and engineering firms that aid in designing, building, and testing our high-quality hardware. Steve is driven by unrelenting curiosity and the fun of creating new technologies. His background in structural engineering led him to a twenty-year career building software systems focused on the virtualization of entire industries. 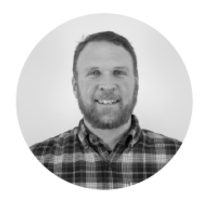 Steve specializes in designing products built on BIM, CAD, GIS, IoT, and visualization technologies to address needs in the engineering, construction and operations lifecycle. Notable solutions he has delivered include web-based 2D and 3D asset management integrations that enabled data-driven exploration and reporting for floor plans and building systems. 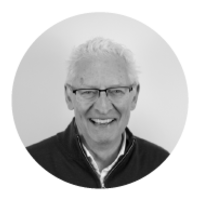 Prior to Sapient, Steve established and oversaw the operations of a technology consulting division where he built and led a team of developers to meet the diverse needs of clients from startups to Fortune 500 companies. Steve is a lifelong learner who spends his free time listening to technology podcasts at the grocery, turning his old house into a smart home, and playing Minecraft with his kids. Vipula is a graduate student of University of Pennsylvania in Computer Engineering. During her academic career, her focuses were Embedded Systems and Internet Of Things (IOT)- eventually delving into Analog and Digital Integrated Circuits during graduate school. 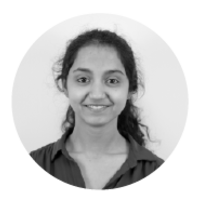 Vipula has developed several end-to-end IOT products, while her current research involves parallel computing on Finite State Machines. Vipula started her journey at Sapient in 2017 designing and optimizing printed circuit boards for Sapient's proprietary smart outlet and oversaw the design and implementation of several embedded systems. Currently, she now manages the development of Machine Learning models and experimental algorithms for device detection and modeling human behavior. Phillip is a graduate of the University of Pennsylvania in computer engineering. He manages the embedded hardware and software subsystems responsible for tracking occupancy and human "hyper-location". 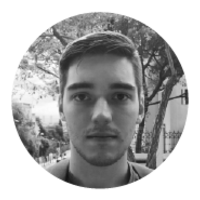 His interests are in operating systems security, embedded software, and hardware/software interfaces. He comes to Sapient with a background at Xilinx in hardware design, operating system development, and automation, as well as UI/UX design and iOS development. In his free time, he enjoys coffee, hiking, wine, and travel. Sophia Yushchenko attended New York University Abu Dhabi, where she studied Economics, Psychology and History. 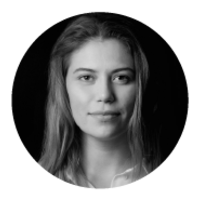 In 2017, Sophia co-founded the NGO Connect Ukraine, which brings together social entrepreneurs and corporates, visionary innovators and creative artists, technologists, and ethical hackers from Ukraine and all over world to brainstorm ideas, develop prototypes and co-create projects able to define the future of Ukraine. She also co-founded the charity organization Children of the World to the Children of Ukraine to support children of Ukraine's fallen soldiers. At Sapient, Sophia focuses on strategic business development and strategy as well as market and competitor analysis. Paris is a graduate of the University of Pennsylvania, having studied neuroscience with coursework in the statistical and cognitive sciences. He has experience in the biotech space from both the equity and clinical sides, most recently designing and publishing mathematical models describing new surgical techniques in dermatology. Paris is creating a library of literature from white papers to industry insight centered around the Sapient product. Marketing and Business Development client engagement expert with over 25 years experience for architecture, planning, interior design and construction firms with a concentration on the college/university and corporate facilities markets. 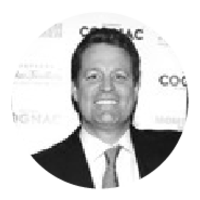 Over the years, Rick has collaborated with firm principals and senior staff and implemented strategies to implement marketing and business development action plans to increase market share. 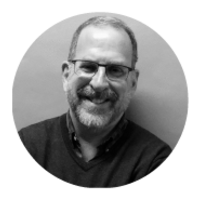 Dave has nearly 30 years of experience in business operations and program management and is a customer-focused leader in energy conservation and urban tech/smart cities. 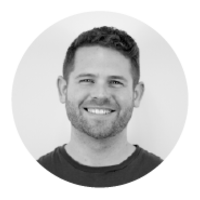 With diverse experience across private and public sectors, startups, and corporate environments, Dave has served as the program manager for Lockheed Martin and directed the largest commercial real estate energy efficiency outreach program in United States while at HR&A Advisors. Dori is ranked at the top 5% of global workforce for Innovation and Leadership, and focuses on commercializing through innovation, business development, deal-making with strategic key technology partnerships. Dori has extensive experience working in fast-paced, early-stage, venture-backed entrepreneurial environments as well as established global multinationals. Dori is a Techstars IoT Mentor and Alum, as well as a frequent speaker at key industry events such Mobile World Congress, CES, and NAB. Claus has several decades of experience in the finance and business management sectors. He has worked in investment management, commodities trading and derivative sales, serving first as a Managing Director in the Commodity and Derivatives Sales Division at BNP Paribas and later as a Managing Director of the Commodity and Derivatives Division at Bank of America Merill Lynch. Claus has also advised several successful mining and technology start-ups. The smallest investment amount that Sapient is accepting. Sapient needs to reach their minimum funding goal before the deadline. If they don’t, all investments will be refunded. If a trigger event for Sapient occurs, the discount provision gives investors equity shares (or equal value in cash) at a reduced price. Sapient needs to raise $25K before the deadline. The maximum amount Sapient is willing to raise is $1.07M. The Company’s business and operations are sensitive to general business and economic conditions in the United States. A host of factors beyond the Company’s control could cause fluctuations in these conditions. Adverse conditions may include: recession, downturn or otherwise, local competition or changes in consumer taste. The Company maintains its cash with a major financial institution located in the United States of America, which it believes to be credit worthy. At times, the Company may maintain balances in excess of the federally insured limits. These adverse conditions could affect the Company’s financial condition and the results of its operations. The Company has a limited operating history upon which you can evaluate its performance, and accordingly, the Company’s prospects must be considered in light of the risks that any new company encounters. The Company is just beginning to implement its business plan and there can be no assurance that it will succeed. The likelihood of its success should be considered in light of the problems, expenses, difficulties, complications and delays usually encountered by companies in their early stages of development. The Company may not be successful in attaining the objectives necessary for it to overcome these risks and uncertainties. The Company’s business could be negatively impacted by cyber security threats, attacks and other disruptions. Like others in the industry, the Company may face advanced and persistent attacks on its information infrastructure where it manages and stores various proprietary information and sensitive/confidential data relating to its operations. These attacks may include sophisticated malware (viruses, worms, and other malicious software programs) and phishing emails that attack the Products or otherwise exploit any security vulnerabilities. These intrusions sometimes may be zero-day malware that are difficult to identify because they are not included in the signature set of commercially available antivirus scanning programs. Experienced computer programmers and hackers may be able to penetrate the Company’s network security and misappropriate or compromise the Company’s confidential information or that of its customers or other third-parties, create system disruptions, or cause shutdowns. Additionally, sophisticated software and applications that the Company produces or procures from third-parties may contain defects in design or manufacture, including “bugs” and other problems that could unexpectedly interfere with the operation of the information infrastructure. A disruption, infiltration or failure of the Company’s information infrastructure systems or any of the Company’s data centers as a result of software or hardware malfunctions, computer viruses, cyber-attacks, employee theft or misuse, power disruptions, natural disasters or accidents could cause breaches of data security, loss of critical data and performance delays, which in turn could adversely affect the Company’s business. Security breaches of confidential customer information, or confidential employee information may adversely affect the Company’s business. The Company’s business requires the collection, transmission and retention of employee information and customer data in various information technology systems that the Company maintains and in those maintained by third parties with whom the Company contracts to provide services. The integrity and protection of that customer and employee data is critical to the Company. The information, security and privacy requirements imposed by governmental regulation are increasingly demanding. The Company’s systems may not be able to satisfy these changing requirements and customer and employee expectations, or may require significant additional investments or time in order to do so. A breach in the security of the Company’s information technology systems or those of the Company’s service providers could lead to an interruption in the operation of its systems, resulting in operational inefficiencies and a loss of profits. Additionally, a significant theft, loss or misappropriation of, or access to, customers’ or other proprietary data or other breach of the Company’s information technology systems could result in fines, legal claims or proceedings. The Company depends on suppliers and contractors to meet its contractual obligations to its customers. The Company’s ability to meet its obligations to its customers may be adversely affected if suppliers or contractors do not provide the agreed-upon supplies or perform the agreed-upon services in compliance with customer requirements in a timely and cost-effective manner. Likewise, the quality of the Products may be adversely impacted if a contractor or a supplier of major components or subsystems for the Products, or from whom we acquire such items, do not provide components which meet required specifications and perform to our and our customers’ expectations. Our suppliers may be unable to quickly recover from natural disasters and other events beyond their control and may be subject to additional risks such as financial problems that limit their ability to conduct their operations. The risk of these adverse effects may be greater in circumstances where we rely on only one or two contractors or suppliers for a particular component. The Products may utilize custom components available from only one source. Continued availability of those components at acceptable prices, or at all, may be affected for any number of reasons, including if those suppliers decide to concentrate on the production of common components instead of components customized to meet our requirements. The supply of components for a new or existing product could be delayed or constrained, or a key manufacturing vendor could delay shipments of completed Products to us adversely affecting our business and results of operations. Our reputation and the quality of our brand are critical to our business and success in existing markets, and will be critical to our success as we enter new markets. Any incident that erodes consumer loyalty for our brand could significantly reduce its value and damage our business. Reputation risk, or the risk to our business from negative public opinion, is inherent in our business. Negative public opinion can result from the Company’s actual or alleged conduct. Negative public opinion can adversely affect the Company’s ability to attract and retain customers and employees and can expose the Company to litigation and regulatory action, which may be expensive and time-consuming. Also, there has been a marked increase in the use of social media platforms and similar devices, including blogs, social media websites and other forms of internet-based communications that provide individuals with access to a broad audience of consumers and other interested persons. The availability of information on social media platforms is virtually immediate as is its impact. Information posted may be adverse to our interests or may be inaccurate, each of which may harm our performance, prospects or business. The harm may be immediate and may disseminate rapidly and broadly, without affording us an opportunity for redress or correction. In particular, the Company is dependent on Samuel Parks and Martin Koch, who are the co-founders and executive officers of the Company. The Company has or intends to enter into an employment agreement with them, although there can be no assurance that it will do so or that they will continue to be employed by the Company for a particular period of time. The loss of Samuel Parks and Martin Koch or any member of the board of directors or executive officer could harm the Company’s business, financial condition, cash flow and results of operations. Although dependent on certain key personnel, the Company has no way to guarantee key personnel will stay with the Company. The Company is dependent on certain key personnel in order to conduct its operations and execute its business plan, however, the Company has not purchased any insurance policies with respect to those individuals in the event of their death or disability. Therefore, if any of these personnel die or become disabled, the Company will not receive any compensation to assist with such person’s absence. The loss of such person could negatively affect the Company and its operations. The Company has no way to guarantee key personnel will stay with the Company, as many states may not enforce certain non-competition agreements, and therefore acquiring key man insurance will not ameliorate all of the risk of relying on key personnel. There are substantial risks and uncertainties associated with these efforts, particularly in instances where the markets are not fully developed. In developing and marketing new lines of business and/or new products and services, we may invest significant time and resources. Initial timetables for the introduction and development of new lines of business and/or new products or services may not be achieved, and price and profitability targets may not prove feasible. We may not be successful in introducing new products and services in response to industry trends or developments in technology, or those new products may not achieve market acceptance. As a result, we could lose business, be forced to price products and services on less advantageous terms to retain or attract customers, or be subject to cost increases. As a result, our business, financial condition or results of operations may be adversely affected. The Company may fail to improve the Products in a competitive, demanding and rapidly changing environment. To succeed in a competitive industry, the Company must continually improve the Products to include newer features, functionality or solutions, and keep pace with price-to-performance gains in the industry. Shortened product life cycles due to customer demands and competitive pressures impact the pace at which the Company must introduce and implement new technology. This requires a high level of innovation by both the Company’s software developers and suppliers. In addition, bringing new solutions to the market entails a costly and lengthy process, and requires us to accurately anticipate customer needs and technology trends. The Company must continue to respond to market demands or the Company’s business operations may be adversely affected. The Company’s future results may be affected if it is unsuccessful in its efforts to enter into agreements with commercial office real estate owners/operators and facilities managers. As a result of these and other factors, the Company’s ability to introduce new or improved solutions could be adversely impacted and the Company’s business would be negatively affected. We face competition with respect to any products that we may seek to develop or commercialize in the future. The Company’s main competitors in the B2C space are Sense, Insteon, and eve. The Company’s main competitors in the B2B space are Siemens, Honeywell and Johnson Controls. Many of our competitors have significantly greater financial, technical and human resources than we have and superior expertise in research and development and marketing approved products and services and thus may be better equipped than us to develop and commercialize products and services. These competitors also compete with us in recruiting and retaining qualified personnel and acquiring technologies. Smaller or early stage companies may also prove to be significant competitors, particularly through collaborative arrangements with large and established companies. Accordingly, our competitors may commercialize products more rapidly or effectively than we are able to, which would adversely affect our competitive position, the likelihood that our products and services will achieve initial market acceptance and our ability to generate meaningful additional revenues from our products. This means that the Company has ultimate discretion to use the proceeds as it sees fit and has chosen not to set forth any specific uses for you to evaluate. The net proceeds from this Offering will be used for the purposes, which our management deems to be in our best interests in order to address changed circumstances or opportunities. As a result of the foregoing, our success of will be substantially dependent upon our discretion and judgment with respect to application and allocation of the net proceeds of this Offering. The Company may choose to use the proceeds in a manner that you do not agree with and you will have no recourse. A use of proceeds that does not further the Company’s business and goals could harm the Company and its operations and ultimately cause a Purchaser to lose all or a portion of his or her investment. The Company relies on various intellectual property rights, including patents and trademarks, in order to operate its business. Such intellectual property rights, however, may not be sufficiently broad or otherwise may not provide us a significant competitive advantage. In addition, the steps that we have taken to maintain and protect our intellectual property may not prevent it from being challenged, invalidated, circumvented or designed-around, particularly in countries where intellectual property rights are not highly developed or protected. In some circumstances, enforcement may not be available to us because an infringer has a dominant intellectual property position or for other business reasons, or countries may require compulsory licensing of our intellectual property. Our failure to obtain or maintain intellectual property rights that convey competitive advantage, adequately protect our intellectual property or detect or prevent circumvention or unauthorized use of such property, could adversely impact our competitive position and results of operations. We also rely on nondisclosure and noncompetition agreements with employees, consultants and other parties to protect, in part, trade secrets and other proprietary rights. There can be no assurance that these agreements will adequately protect our trade secrets and other proprietary rights and will not be breached, that we will have adequate remedies for any breach, that others will not independently develop substantially equivalent proprietary information or that third parties will not otherwise gain access to our trade secrets or other proprietary rights. As we expand our business, protecting our intellectual property will become increasingly important. The protective steps we have taken may be inadequate to deter our competitors from using our proprietary information. In order to protect or enforce our patent rights, we may be required to initiate litigation against third parties, such as infringement lawsuits. Also, these third parties may assert claims against us with or without provocation. These lawsuits could be expensive, take significant time and could divert management’s attention from other business concerns. The law relating to the scope and validity of claims in the technology field in which we operate is still evolving and, consequently, intellectual property positions in our industry are generally uncertain. We cannot assure you that we will prevail in any of these potential suits or that the damages or other remedies awarded, if any, would be commercially valuable. You should not rely on the fact that our Form C is accessible through the SEC’s EDGAR filing system as an approval, endorsement or guarantee of compliance from the SEC as it relates to this Offering. The Securities will not be freely tradable until one year from the initial purchase date. Although the Securities may be tradable under federal securities law, state securities regulations may apply, and each Purchaser should consult with his or her attorney before transferring his or her Securities. Purchasers should be aware of the long-term nature of this investment. There is not now and likely will not be a public market for the Securities. Because the Securities have not been registered under the Securities Act or under the securities laws of any state or non-United States jurisdiction, the Securities have transfer restrictions and cannot be resold in the United States except pursuant to Rule 501 of Regulation CF. It is not currently contemplated that registration under the Securities Act or other securities laws will be effected. Limitations on the transfer of the Securities may also adversely affect the price that Purchasers may be able to obtain for the Securities in a private sale. Purchasers should be aware of the long-term nature of their investment in the Company. Each Purchaser in this Offering will be required to represent that it is purchasing the Securities for its own account, for investment purposes and not with a view to resale or distribution thereof. Purchasers will not become equity holders until the Company decides to convert the Securities into CF Shadow Securities or until there is a change of control or sale of substantially all of the Company’s assets. The Securities do not provide Purchasers with voting rights, and even upon the conversion of the Securities to CF Shadow Securities (which cannot be guaranteed), Purchasers will be required to enter into a proxy with the Intermediary to ensure any statutory voting rights are voted in tandem with the majority holders of whichever series of securities the CF Shadow Securities follow. In a dissolution or bankruptcy of the Company, Purchasers will not be treated as priority debt holders, but will instead be treated the same as common equity holders and are therefore unlikely to recover any assets in the event of a dissolution or bankruptcy. The CF Shadow Securities acquired upon conversion of the Securities may be significantly diluted as a consequence of subsequent financings. The CF Shadow Securities will be subject to dilution. The Company may issue additional equity to employees and third-party financing sources in amounts that are uncertain at this time, and as a consequence Purchasers will be subject to dilution in an unpredictable amount. Such dilution may reduce Purchaser’s control and economic interests in the Company. The amount of additional financing needed by the Company will depend upon several contingencies not foreseen at the time of this Offering. Each such round of financing (whether from the Company or other investors) is typically intended to provide the Company with enough capital to reach the next major corporate milestone. If the funds are not sufficient, Company may have to raise additional capital at a price unfavorable to the existing investors, including Purchasers. The availability of capital is at least partially a function of capital market conditions that are beyond the control of the Company. There can be no assurance that the Company will be able to predict accurately the future capital requirements necessary for success or that additional funds will be available from any source. Failure to obtain such financing on favorable terms could dilute or otherwise severely impair the value of the Purchaser’s Securities. The CF Shadow Securities may be substantially different from other equity securities offered or issued at the time of conversion. The Company may issue to Purchasers equity securities that are materially distinct from equity securities it will issue in the future. The CF Shadow Securities will be distinct from the equity securities issued to new purchasers in at least the following respects: to the extent such equity securities bear any liquidation preferences, dividend rights, or anti-dilution protections, any equity securities issued at the Conversion Price (as provided in the Securities) shall bear such preferences, rights, and protections only in proportion to the Conversion Price and not in proportion to the price per share paid by new investors in equity securities. The Company may not provide Purchasers the same rights, preferences, protections, and other benefits or privileges provided to other purchasers of the Company’s equity securities. This paragraph does not purport to be a complete summary of all such distinctions. While the Securities provide for mechanisms whereby a Purchaser would be entitled to a return of his or her purchase amount, if the Company does not have sufficient cash on hand, this obligation may not be fulfilled. In certain events provided in the Securities, Purchasers may be entitled to a return of their principal amount. Despite the contractual provisions in the Securities, this right cannot be guaranteed if the Company does not have sufficient liquid assets on hand. Therefore, potential purchasers should not assume that they are guaranteed a return of their investment amount. It is a much needed system for eliminating so much waste. very compelling, ever growing problem which not many people/companies seem to be solving. Innovative solution with far-reaching benefits for energy management. It addresses a problem that will save money to real estate owners and companies. It addresses a problem with a simple solution. Energy waste is a large contributor to climate change. Alternative energy generation and energy efficiency technologies are essential to safeguard our future. And, Go Quakers! I'd like to contribute to a solution that caters to a problem most of the public does not immediately recognize. Great concept. Low up front cost on a product that can save companies money over the long term. With Changes in weather due to Global Warming, Energy saving devices have lots of potential in the upcoming years. I hope Sapient be the most successful device in the future. Sapient brings together two very current phrases, that are increasingly affecting our highly technicalized world and reflecting part of the solution. Energy Waste + AI / I see the problem daily in the office and hope Sapient solves it in his own way! Investing in the future of AI and energy management. First mover advantage with a well thought out approach. I like the fact that Sapient is device agnostic, incorporates AI, and has a large addressable market. Talented team with great potential. The novelty of Sapient's solution is in its Simplicity. I wish them "Uber" success in their business. I work in the federal government and have paid utilities bills. I understand the problem. I was just thinking the other day about the huge amount ofenergy wasted by plug load. I thought that it was going to be an amazing opportunity if a company can successfully tackle that. Best of luck! I invested because I believe in some startups to build my future. If this technology is for real, then why wouldn't all existing and future companies be interested? I invested because the product is cool and the team has very strong background. I invested because I believe in the work that Sapien is doing to make the world a better place! Thank you! I invested in this startup because I had an idea very similar to this as a project for my Software Development course about 7 years ago. I believe this is very necessary and Will Succeed. Looks like fantastic tech that can actually do something about our environment by savings lots of bucks for its clients. A great cause and a brilliant team behind it! I invested because I just wanted to take a shot at something risky. My entire professional life of 50 years was on energy ( power station design, combustion research, lecturing energy, combustion, fluid mechanics,etc. at university. Informatics and AI can provide extraordinary results in energy saving. I have used device s that help with power usage before they work. Ray Blanco suggested it and I have great confidence in his reccomendations. I find the concept fascinating and believe it has a huge market! Energy Efficiency is the buzzzz! Young people determined to succeed! Great idea that can save a lot of energy and money! 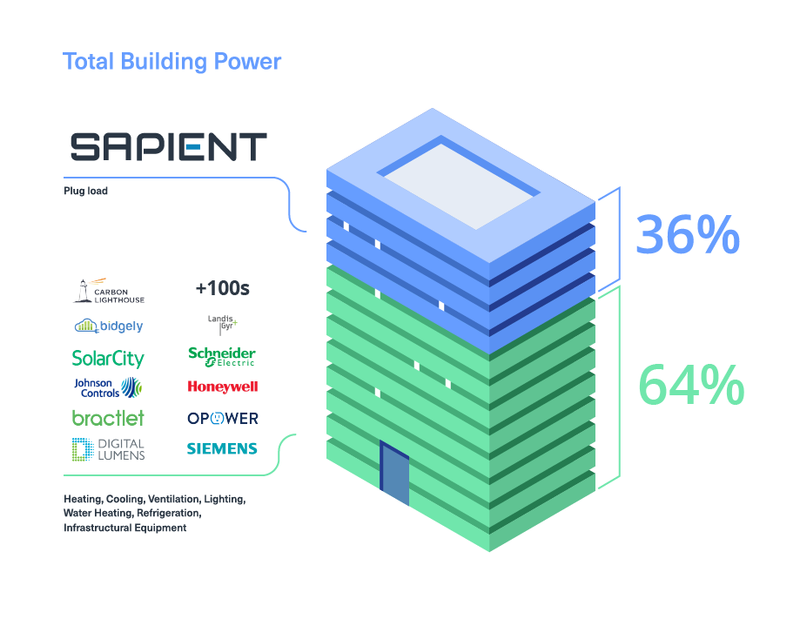 I invested because Sapient is the first company that is investigating how to rewire major building’s electrical systems without having to remove current systems physically. Sounds like a super idea. I invested in Sapient to help the environment. I invested because I see the good cause and vision that the company is working on will be benefiting the people. I strongly believe using data to driving future choices is the way forward. This resonates with my soul. I invested because of Sam Parks. He's an amazing, intelligent, young man, and I believe in him. This is a great idea and a business with incredible potential. It will be fun to see where this company goes. We strive to save energy in our home to cut costs. I feel this is a great cause, although tailored for a larger scale, I think this is also beneficial on a consumer level. I have experienced surprise cost in my Home Base Business and systems that must remain on 24 hours but any company that can show me exactly where to how to save from 20-50% catches my attention to invest saving my bottom line and solar is installed. I invested because I believe In growth in investment. Saving energy, and cutting costs are always important for building owners, and this appears to be a one of a kind product, and a company with the business relationships necessary to sell a bunch. I invested because it’s good for environment. And as student I like to invest in good things. To be part of a startup company that could eventually make it big. The team and technology are interesting. The problem they are solving could have a significant impact on the industry. It's an exciting project and space and I hope my small contribution will help them be successful. I invested because I think there is an energy problem in the world. With Sapient's technology we can finally start moving towards a resolution to this issue. A great idea, hope it works. Smart energy management its going to be commonplace in the future and it only makes sense to go after the business market because of their large power needs and possible savings with this technology. i invested b/c i am interested in saving energy and i want to support the entrepreneurs. 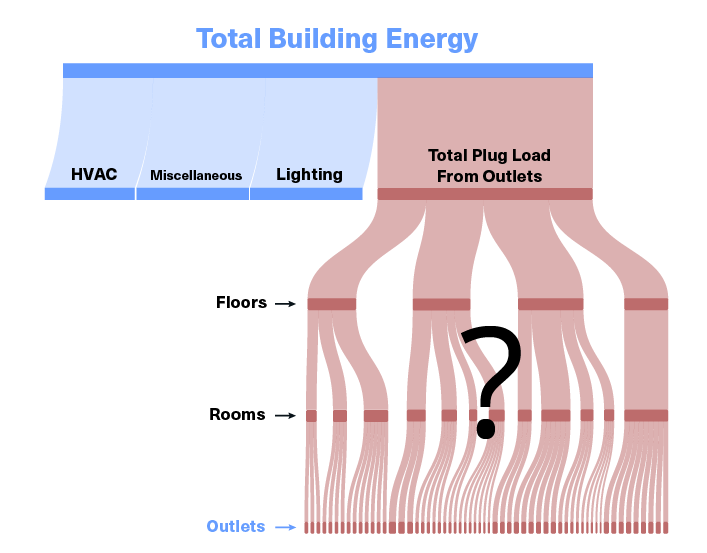 Because, over the next ten years, plug load is predicted to reach nearly 45% of total building energy draw and surpass HVAC and lighting to make up the single largest portion of a building’s total energy consumption. I invested because I believe this start-up has found an effective and scalable solution to a global problem. It all make sense,saving energy is priceless!! Great product and problem solver. Sounds like an incredible, but simple, idea we all wish we had invented! seems like a fantastic idea with a whole lot of potential. Looks like something that will take off and be a successful company. I am glad to be a part of it. I believe in conserving energy and this company is leading the way. Saving energy is very important and not just the financial aspect of it. There is a lot of scope here. With the right marketing this could be a recognised global company within a few years. More electronics, more leaching. Time to stop it! Amazing product. Can't wait to see more from the Sapient team. This has been needed for sometime. I owned a commercial building and wish I knew about this company and I believe in what they are doing. I believe in the project team and the Republic resource. They know what they're doing! No-brainer application of ML + IoT to do good (energy conservation) by doing well (saving $). I strongly support innovation that helps conserve energy and reduce greenhouse gases. I was an early adopter of Sense and see the need. I invested on recommendation of First Stage Investor issue that I received for the month of April. I really like the concept of your product and think it will do very well in the coming years and be especially helpful to the environment. They have a Solid Product that is leading Edge, it should move like a Wildfire ! This is a simple and great idea with immediate application. I know from quarterly meetings over the last 11 years with the company that I work for, that energy expenses is a good chunk of their expenses. I can see this being very useful for many large businesses. As President & COO of Datahoist Inc, an IoT company focused on AI for Elevators & Vertical lifts I see first hand in our customers, platform operators and vertical industries how IoT is changing the world & delivering ROI on their investments. I invested because I strongly believe that machine learning can transform lives and make an huge impact !! Energy production is one of the key factors of our life in its present form and for its development. Saving energy to protect our planet and ecosystem is another key factor. Sapient is the middleman to achive both of these key factors for humanity. It appears to be an energy saving system, which is something I support. Saving energy and hopefully making a profit. I am a firm believer in energy efficiency and in efficiency in general; I applaud these fascinating efforts towards energy conservation. I think this is a very clever and worthwhile technological opportunity with a high chance of success. I think your device is a great tool and will save companies a load of money and will make a bit for me. To make money for a good reason. Energy management and use optimization will become more and more important with growing use of technology. I like the business model and it had a solid deck. Because it simply makes sense! liked the interesting industry energy saving concept and a business model that has the potential to make a difference in helping lower current usage and practices! You were recommended by First Stage Investor; I think that you have some great ideas and a lot of potential. We need to put our money where our mouth is to fight global warming. I think this is a well-thought out plan, which if implemented could have serious and significant long-term impact. I invested because companies are always looking to save money and doing so through a low cost solution of power use is a great idea. I am interested in any energy saving concepts. I can see companies would benefit from this. I'm intrigued by the concept. It seems like a no-brainer for the major office space property owners/players. Sapient is also recommended by First Stage Investor. I read their write up on the company and trust their judgement and recommendations. Everyone will benefit by lowering energy consumption across all sectors. I love the idea that you've solved a pain point that most businesses don't even realize that they have. And that solution just happens to cut down on wasted energy - bonus! A great vision already showing some traction. Keep up the great work Sapient! Sapient is smart solution for energy conservation. Seems like a great with Republic and Sapient! Looks like a great technology. Energy Conservation is important. Approach seems realisitc and modern = next step. Already a lot of backers. Business Model may succeed. Peer pressure on Sustainability. I am interested in the business which Sapient operates and hope it will success! I invest because the problem is real and the solution looks good. More than a thousand investors with a total investments way above target just boost my confidence this is right. I believe that Sapient is a head of the curb in what they are doing. They have answered every Q&A with intelligent insight and transparency. Looks to be a sound investment for the future. Sounds interesting to learn how to eliminate wasteful energy and save on your energy bill. We are a construction business and understand this is a real problem with a great solution! The reason for investing in Sapient is my personal passion for solving environmental issues with innovative new technologies. It is a clever idea. Hope the implementation is also great! i believe energy efficiency is vital and i believe this will be adopted globally. i wish all the best to this startup that is solving a critical issue worldwide. this will affect billions of people and companies as well either directly or indirectly. I invested because I believe newer technology that Sapient is using will help manage better electricity use all over the world. First Mover Advantage.It's really important not to waste any electricity.Believe Sapient solution will help companies and individuals to stop leakage, conserve and save money. i agree and believe what the founder had to say about wasted energy and that we have to do something about it. I invested because they are solving a much needed problem by helping save valuable resources, with a first mover advantage. It was also a Top Rated Deal on KingsCrowd! Because I would like to see a return on my investment in years to come. Also, I believe it is a great idea! Energy efficiency is always important and if large companies and enterprise can cut back it would be hard for them to say no when it is obviously beneficial. I believe what they are doing is great for the environment. Technology is our future, it’s everything else of food from now on, even the air we breathe will be filtering by technology in the future. Critically needed cutting edge, disruptive technology. I love it. Building a portfolio of carefully vetted startups and yours is one of the few that met my criteria for investment. I it's the next wave. I am an Electrical Engineer and believe this is a great idea that will take off. The idea strikes me as unique and convenient. The stock in Sapient is an attractive risk-reward ratio. I think Sapient provides an effective solution today world's problem - energy. I invested because this is a game changer and I also believe that Sapient has the potential to do so much more than energy load management. This company could be huge and expand to multiple verticals. I believe Sapient has found an important NEED, and has the technology to "fill" it. Believe in and support the technology. I believe in what Sapient has created to save big business and hopefully large health facilities become more economical in their approach to lower their electrical consumption. They've found the unseen that we've missed. I like the business value proposition and at the same time it will help save energy & resources. Wish I could have invested more. Sapient and their idea is something that to me is personally important and I believe the world needs for better usage and saving of energy in homes. Although I do not believe in private solutions to climate change, we must coordinate and work within the global capitalist system in order to create a transition period toward 100% renewable energy and will need collective action toward these goals. Company has good potential. Investing for retirement. I invested because that's a really smart and promising idea ! I believe in good startups.